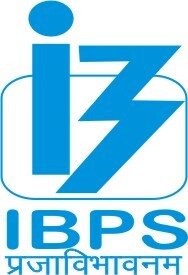 IBPS recruitment notification Apply for various posts. Institute of Banking Personnel Selection (IBPS) has advertised a notification to conduct online examination for the next Common Recruitment Process (CRP) for Regional Rural Banks (RRBs VI) for recruitment of 1315 Probationary Officer/ Management Trainee vacancies in the Participating Organizations’ is tentatively scheduled for October / November 2017. Eligible candidates can apply online from 07-11-2017. There are 1315 posts available for these posts. The application must be submitted before 27-11-2017. Other details like age limit, educational qualification, selection process, application fee & how to apply are given below. Golden opportunity for the candidates who want to make their career in the banking world. Institute of banking personnel which is shortly known as IBPS has published a notification regarding the heavy recruitment for various posts. The examination will be held on two tiers. The online exam will be in two phases. Candidate should possess 4 year Engineering/ Technology Degree in Computer Science/ Computer Applications/ Information Technology/ Electronics/ Electronics & Telecommunications/ Electronics & Communication/ Electronics & Instrumentation or Post Graduate Degree in Electronics/ Electronics & Tele Communication/ Electronics & Communication/ Electronics & Instrumentation/ Computer Science/ Information Technology/ Computer Applications. Graduate candidates having passed DOEACC ‘B’ level. 4 year Degree (graduation) in Agriculture/ Horticulture/ Veterinary Science/ Animal Husbandry/ Dairy Science/ Pisciculture/Fishery Science/ Agri. Marketing & Cooperation/ Co-operation & Banking/ Agro-Forestry/ Forestry/ Agricultural Biotechnology/ Food Science/ Agriculture Business Management/ Food Technology/ Dairy Technology/ Agricultural Engineering. Before applying online applicants have valid email id & contact number. Candidates log on the website www.ibps.in. Read all instructions & Fill all the details. Check once before submits the Form. Now take a print out o online application for future use.